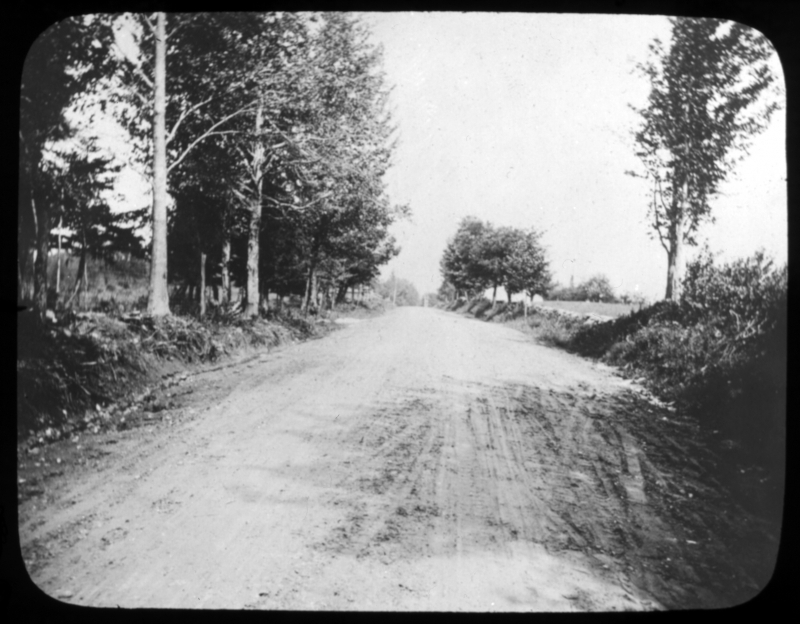 This image shows a gravel road. The left side of the road is lined with large deciduous trees. There is an open field on the right side of the road. Likely autumn, as leaves litter the road.